Today I am cleaning, and cleaning hard! Nothing like a note saying “in 2 days City Inspectors may need to come into your apartment” to kick you into high gear! I’ll be heading over to my parents tonight after dinner with his dad, so I might get some time on the elliptical. Plus with all the movement from cleaning, I’m hoping to burn a few extra calories. We decided to go to Red Lobster instead of somewhere unknown, which is both good and bad. Good because I can get grilled fish with veggies and be about 500-600 calories. 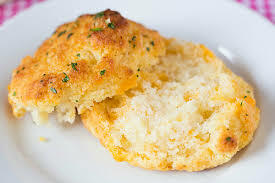 Bad because of those cheddar bay biscuits. Yup, those are sabotage biscuits. Not only would they make me retain water for several days, they would absolutely kill my calories. So no, I will not eat any biscuits. Instead I will eat my little salad (Caesar, with dressing on the side), and hope they have salmon grilled with steamed broccoli available (if not, maybe tilapia…if all else fails I’ll get the chicken). I did not do any extra exercise yesterday, so there are no calories to subtract. The Zucchini Tart recipe can be found here. It was a trial run, and I will probably make it again but add a few things like mushrooms, and maybe a protein of some sort. It was a bit time consuming with the prep, but the taste was good and worth the work. With 8 servings, each serving was 257 calories which is really good for something that is almost like a savory pastry. Today’s Addition is Levels by Avicii!